Mr Cameron’s words sum up the general feeling about Mr Mandela; he was a great man, who embodied the best of the human spirit in the face of adversity. He was a man who had spent twenty-seven years in prison, and emerged to forgive his captors and the men who had sentenced him to life imprisonment-he met for lunch with his former prosecutor, Dr. Percy Yutar, and came to the conclusion that Yutar had simply been doing his duty as a government lawyer.) However, there was another side to Mr Mandela. In the early 1960s, after the Sharpeville Massacre, he had become a pivotal figure in Umkhonto We Sizwe (Spear of The Nation in the Xhosa language, often shortened to MK,) the armed wing of the African National Congress (ANC.) His links with MK were strong, and he was tried three times between 1962 and 1964 for being a leader of MK, and signing off on acts of terrorism and violence, such as bombings, crop burnings, and general damage to infrastructure. 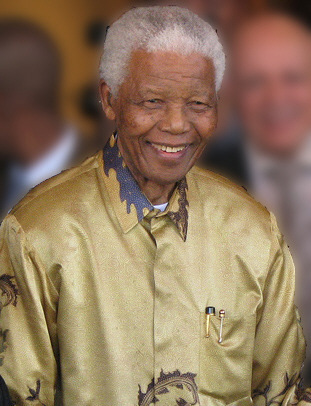 Mr Mandela outlined the policy of MK in his “I am prepared to die” speech, given to the court during his 1964 trial for treason; “We felt that without violence there would be no way open to the African people to succeed in their struggle against the principle of white supremacy.” This speech made headlines round the world, and played a key part in forming the image of Mr Mandela in the eyes of the media.